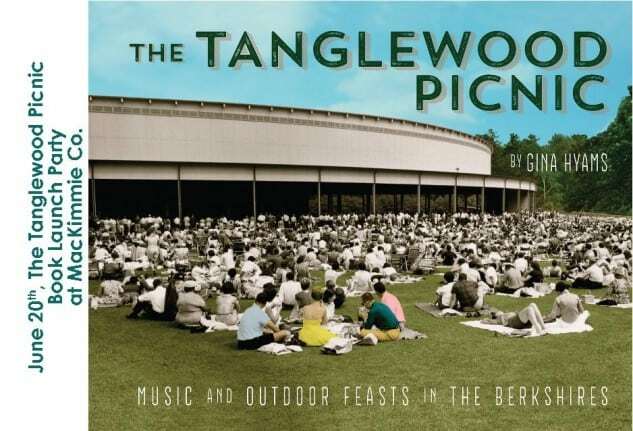 You are cordially invited to “The Tanglewood Picnic” Book Launch Party on Saturday, June 20 from 1:00 p.m. to 4:00p.m. at MacKimmie Co. (67 Church Street in Lenox). Gina Hyams, Writer will be on hand to sign copies of this new gift book that celebrates the eight-decade tradition of picnicking on the lawn at Tanglewood. MacKimmie Co. owner Doris Barsauskas is going to whip up a batch of Country Curtains Picnic Whiskey Sour Punch, one of a dozen classic recipes in the book, which also includes 150 photos of Tanglewood Music Center picnickers from the 1940s through the present, the ultimate Tanglewood picnic checklist, and foreword by best-selling cookbook author Alana Chernila!